Hubble Space Telescope has uncovered what astronomers are reporting as the dimmest stars ever seen in any globular star cluster. Globular clusters are spherical concentrations of hundreds of thousands of stars. These clusters formed early in the 13.7 billion year old universe. The cluster NGC 6397 is one of the closest globular star clusters to Earth. Seeing the whole range of stars in this area will yield insights into the age, origin, and evolution of the cluster. Although astronomers have conducted similar observations since Hubble was launched, a team led by Harvey Richer of the University of British Columbia, Vancouver, is reporting that it has at last unequivocally reached the faintest stars. "We have run out of hydrogen-burning stars in this cluster. There are no fainter such stars waiting to be discovered. We have discovered the lowest-mass stars capable of supporting stable nuclear reactions in this cluster. Any less massive ones faded early in the cluster's history and by now are too faint to be observed," said Richer. Hubble's Advanced Camera for Surveys completed a census of two distinct stellar populations in NGC 6397. 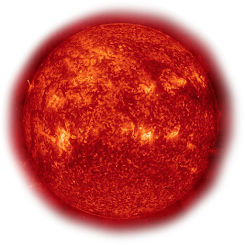 Hubble surveyed the faintest red dwarf stars, which fuse hydrogen in their cores like our sun, and the dimmest white dwarfs, which are the burned-out relics of normal stars. The light from these faint stars is as dim as the light produced by a birthday candle on the Moon seen from Earth. NGC 6397 is 8,500 light years away from Earth. Analyzing the burned-out remnants of stars that died long ago, Hubble showed that the dimmest white dwarfs have such low temperatures that they are undergoing a chemical change in their atmospheres that makes them appear bluer rather than redder as they cool. This phenomenon had been predicted, but never observed. These white dwarfs are the relics of stars up to eight times as massive as the sun, which have exhausted the fuel capable of supporting nuclear reactions in their cores. Stars that were initially even more massive died as supernovae very early in the cluster's life, leaving behind neutron stars, black holes or no debris at all. Astronomers have used white dwarfs in globular clusters as a measure of the universe's age. The universe must be at least as old as the oldest stars. White dwarfs cool down at a predictable rate, the older the dwarf, the cooler it is, making it a perfect "clock" that has been ticking for almost as long as the universe has existed. Richer and his team are using the same age dating technique to calculate the cluster's age. NGC 6397 is currently estimated to be nearly 12 billion years old. A globular cluster's dimmest stars have eluded astronomers because their light is too feeble. Richer's team used Hubble's Advanced Camera to probe deep within the cluster for nearly five days to capture the faint stars. 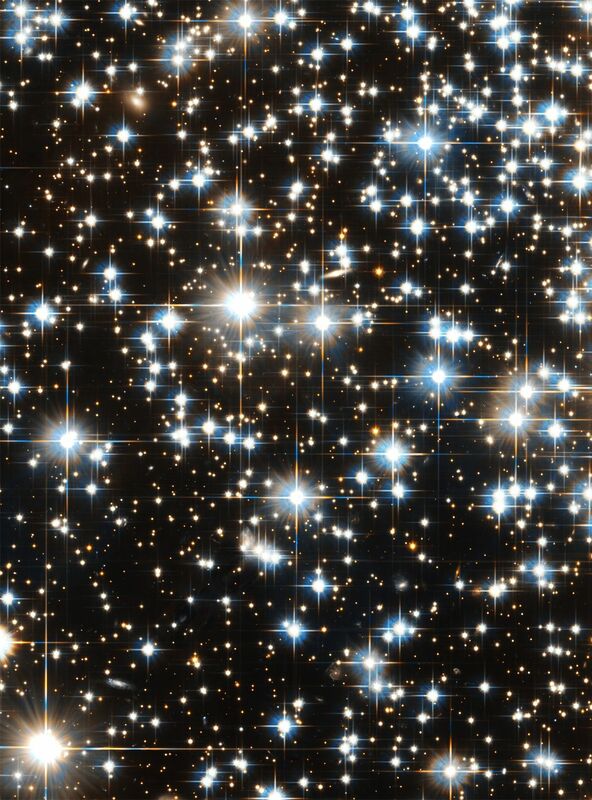 The camera's resolution is so sharp that it is capable of isolating cluster stars in this crowded cluster field, enabling cluster members to be distinguished from foreground and background stars. The cluster stars move together as the cluster orbits the Milky Way Galaxy, and Hubble was able to pinpoint which stars were moving with the cluster. The Hubble team used this technique together with archival Hubble images taken as much as a decade earlier to make sure they had a pure sample of cluster stars.